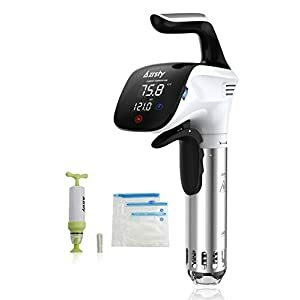 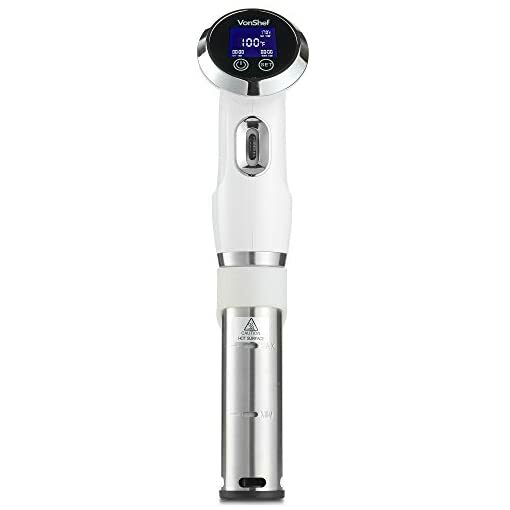 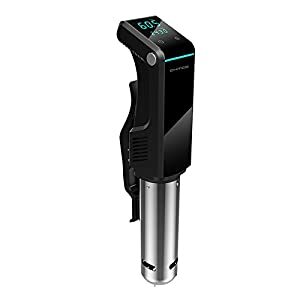 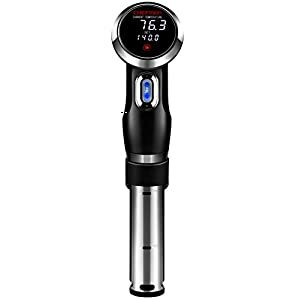 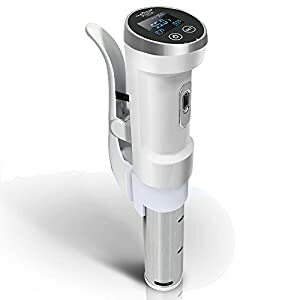 Perfectly cooked steaks, juicy chicken, fall-off-the-bone ribs and vibrant veggies – this clever VonShef Handheld Sous Vide brings restaurant-quality dishes to your kitchen. 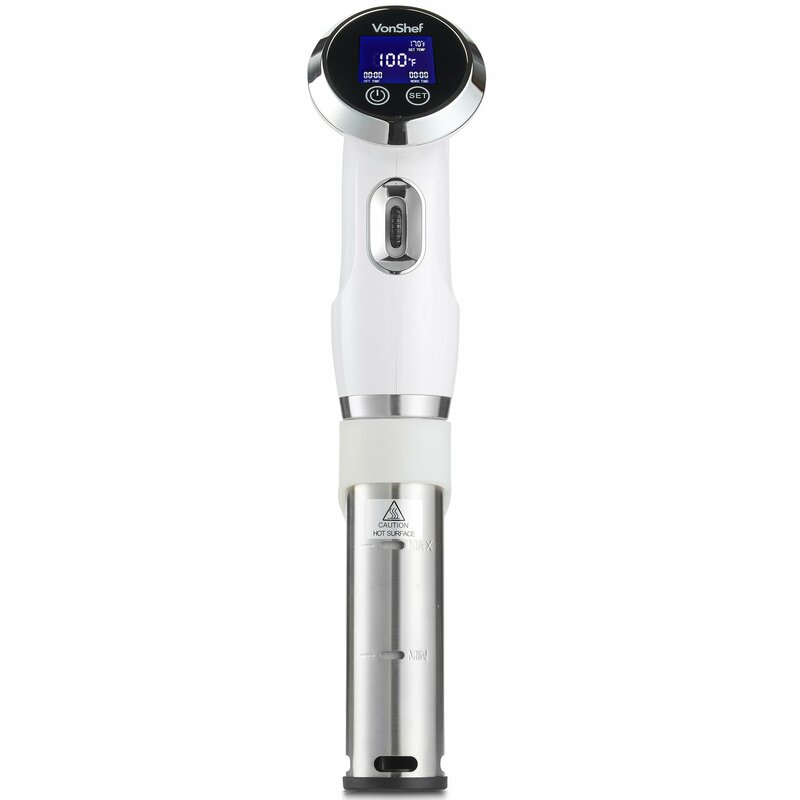 Simple to use, the VonShef sous vide ensures your food is never overcooked – instead enhancing flavour, texture and tenderness. Suitable for use with all kinds of foods – including meats, seafood, vegetables, legumes, fruit and eggs – it’s incredibly versatile. Offering complete cooking accuracy, this compact stainless steel model is easy to use and offers a hassle-free approach to sous vide. 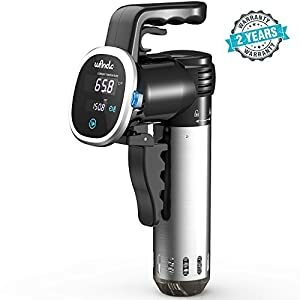 The handheld Sous Vide boasts a simple clip attachment to fix to the side of your water bath or heat-proof pan for convenience and there’s no need to keep an eye on the clock when in use – simply choose your preferred settings and leave the sous vide to do the rest. 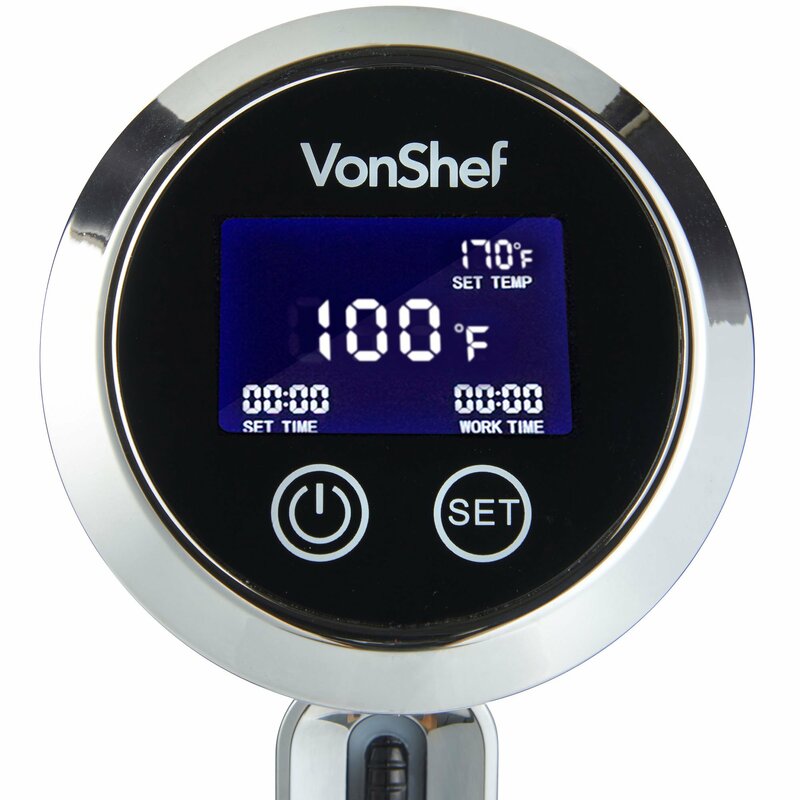 Whether you want to cook the perfect poached egg, or slow braise meats, you can choose the desired cooking time right down to the minute with the VonShef model. 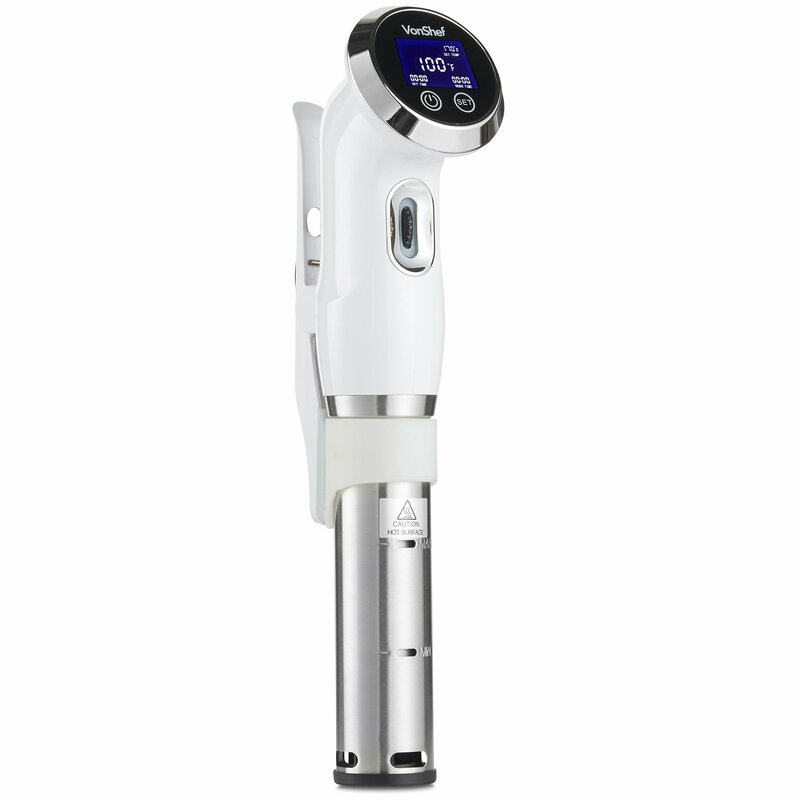 It’s programmed to operate for any length of time up to 100 hours. 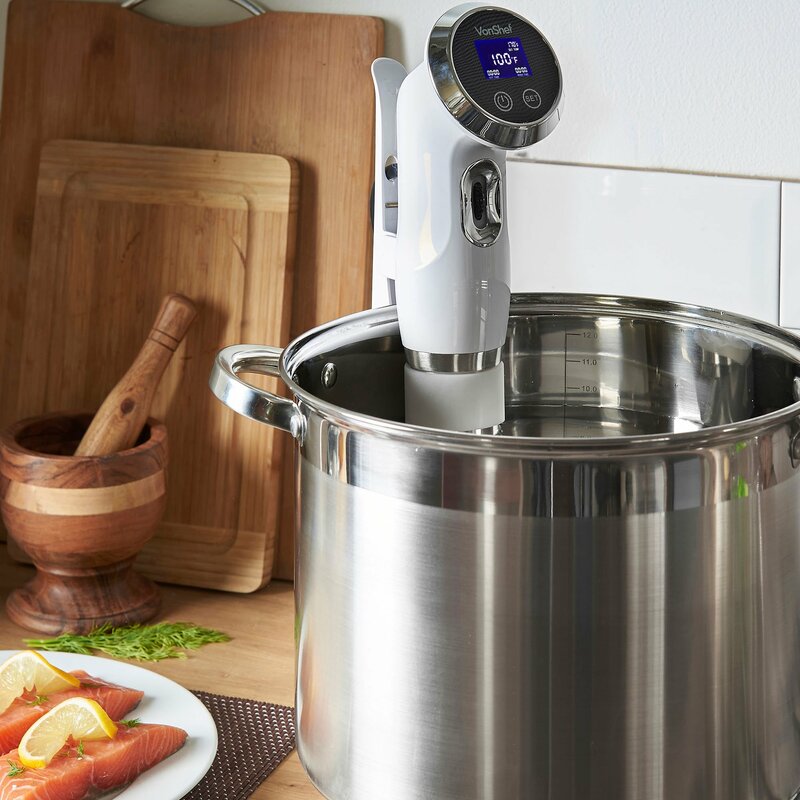 With unique 360° circulating technology and a PTC heating element, the in-built pump fully circulates water – ensuring food is surrounded by the ideal temperature at all times – with delicious results. 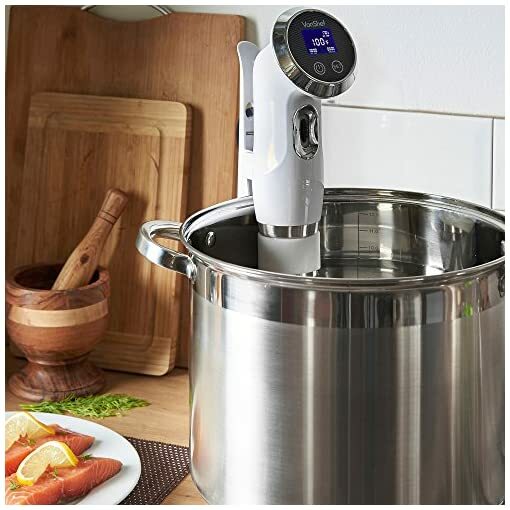 With a maximum water tank capacity of 5 gallons/20 litres of water, this Sous Vide will easily cook large joints of meat – ideal for family dining or entertaining. 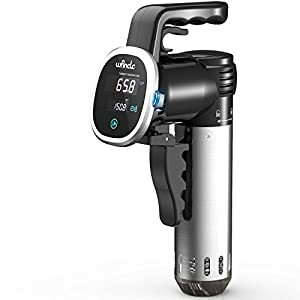 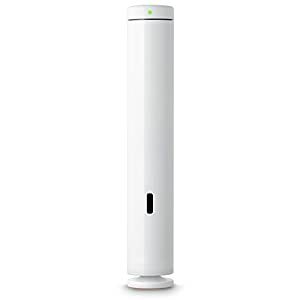 Easy to disassemble for cleaning, the handheld Sous Vide benefits from a modern, clean line design with a neutral white colorway. ACCURATE COOKING AT ITS FINEST: this VonShef Handheld Sous Vide gently circulates heated water and generates steam to gently and thoroughly cook meats, seafood, vegetables, fruit and eggs to perfection. 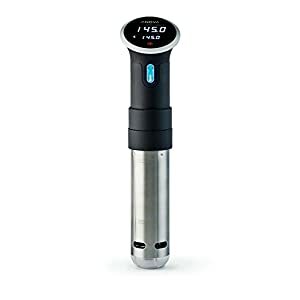 HIGH QUALITY: Achieve delicious, restaurant-quality results using the simple control panel. 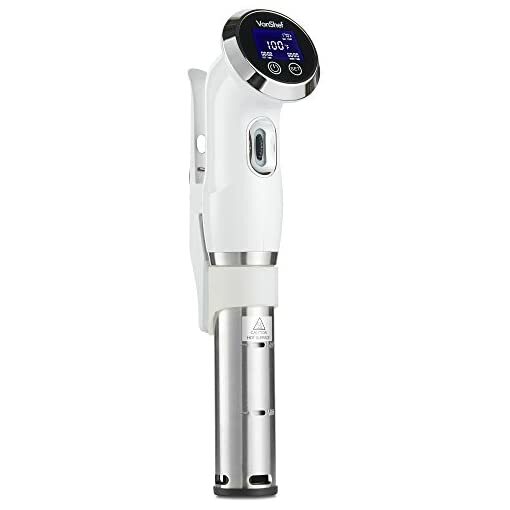 Temperature range from 0 – 203°F with a prolonged cook time of up to 100 hours. 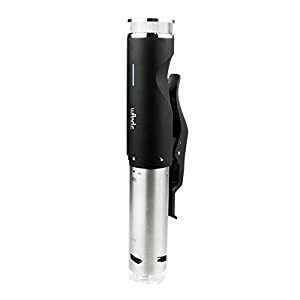 LOW NOISE: Comes with an in-built 12V DC brushless motor for fast, low noise operation. 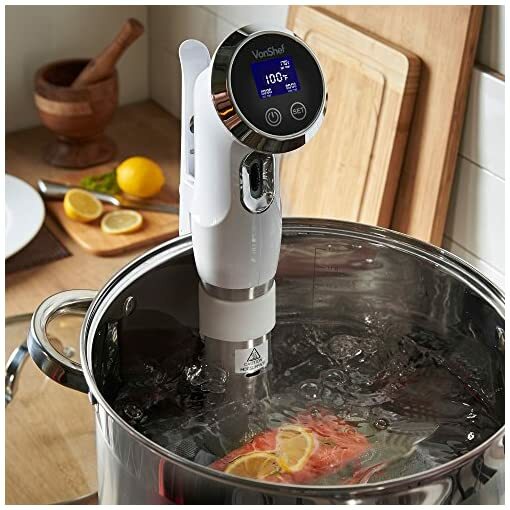 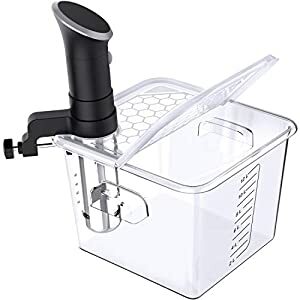 AMAZING FLAVOR: Lock in flavor, taste and texture with 360° directional pump – fully circulates the tank water for thorough cooking. 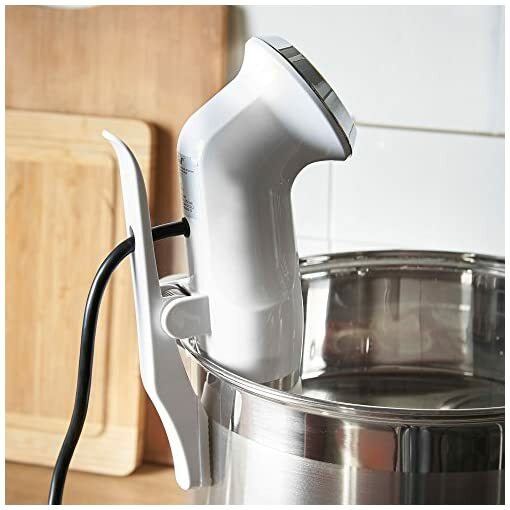 TEMPERATURE CONTROL: PTC heating element for rapid heat up with continuous temperature regulation – operates within +/-1° accuracy for delicious results.